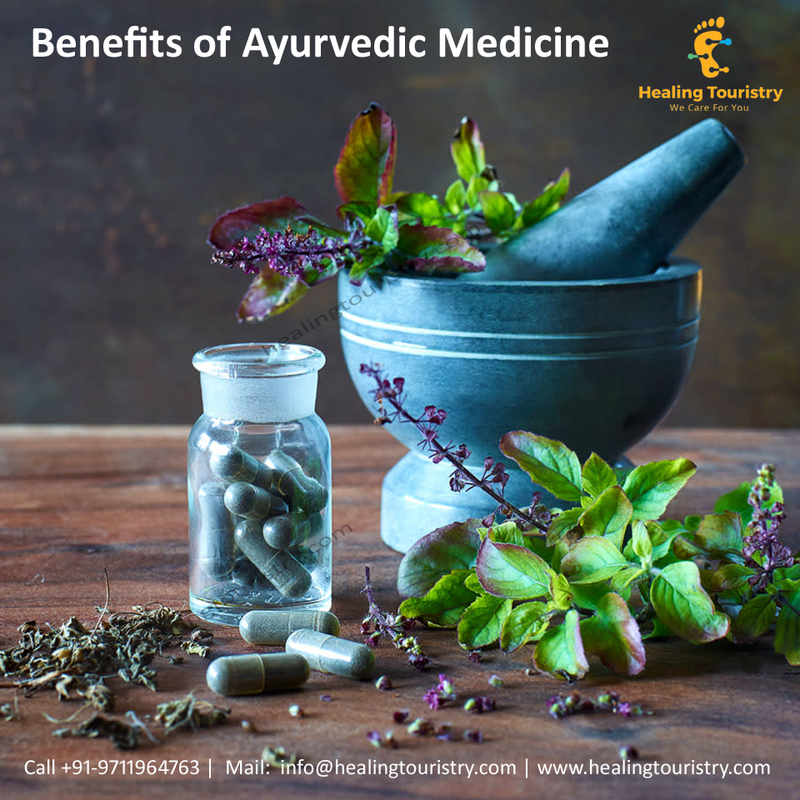 Ayurvedic medicine reduces stress and anxiety . it helps in lower cortisol level and balancing the body’s hormones. This includes meditation, yoga, breathing exercises, herbal treatments etc. Pranayama contain series of various breathing exercises,so it helps in calming nerves and results in better energy, peaceful sleep and improved hormonal function. It is cost effective option also. Ayurveda medicine reduces blood Pressure and Cholesterol . An Ayurveda diet includes those foods that are good for heart health such as vegetables, herbs and spices..
Ayurvedic medicine , Ayurveda yoga and Ayurveda massage helps in improving back pain , blood flow and also treat diseses like arthritis. Ayurveda is also useful in detoxification of the body by using various herbs, teas, healthy foods etc. Ayurveda also improves blood circulation and liver function. Abhyanga is the practice of rubbing the skin with herbal oils to increase blood flow and help draw toxins out of the body through the skin. Ayurveda helpful in peaceful sleep with using ways like rubbing jasmine or coconut oil on the scalp of feet, drinking a cup of warm almond milk. Ayurvedic medicine can help in reducing the weight naturally with healthy diet, stress reduction and essential oils. Ayurvedic medicine reducing inflammation with regulating the heart and circulatory system, digestive tract and the elimination of wastes. Combination of herbal treatments and antioxidants reduces free radicals, and it also boosts metabolism and improves circulation. Researchers have found that one herb or one drug alone cannot cure the imbalance of doshas. A good example is the combination of turmeric with black pepper. Ayurvedic medicine balance hormones naturally, it assists to conceive and have a healthy, natural pregnancy or menstrual cycle. Ayurveda have been effective in treating PCOS, which is disorder in women during reproductive age. The word dysthymia is also known as a persistent depressive disorder (PDD) and is a form of chronic depression. Similar to other types of depression, dysthymia is a continuous feeling of deep sadness and hopelessness affecting the mood and behavior as well as physical functions, including impairment in appetite and sleep. People with this disorder often lose interest in doing activities they once used to enjoyed and have difficulty in finishing daily tasks. The exact cause of dysthymia is unknown, but a few combinations of factors like genetics can play a role, people with a family history of depression or dysthymia are more prone to it in an early age. Changes are chemical messengers (neurotransmitters) in the brain may also lead to dysthymia. Medical illness or chronic stress, social isolation and thoughts and perceptions about the whole world, may influence the development of dysthymia. The symptoms include depressed mood for a prolonged period of time, low energy, tiredness, low self-esteem, change in appetite, irregularities in sleep pattern, difficulty in concentration or poor concentration and hopelessness. The severity of these symptoms depends upon each individual. Some can deal with the basic demands of life, while others may go under significant distress, leading to difficulty in coping with life at work, school or social situations. A person is diagnosed as having chronic depression if he is suffering for at least two years, along with having low energy, tiredness, low self-esteem, sleep irregularities, poor concentration with changes in appetite and hopelessness. Doctors will also rule out any other medical or mental health conditions such as thyroids problems or anxiety or anemia. A patient may not think they themselves are depressed and most of the time visits a physician for physical complaints rather than psychological complaints. Mental health professionals are only consulted when more obvious symptoms are noticed. If it goes undiagnosed, there is always a danger of substance abuse or even suicide. Depression and dysthymia in India are treated with a similar approach. The most effective line of treatment is a combination of strategies. Antidepressant medications may be used in the treatment of dysthymia such as selective reuptake inhibitors (SSRIs) example fluoxetine, fluvoxamine, citalopram. Short term psychotherapeutic approaches to treat dysthymia are more effective at treating the symptoms of depression. Effective psychotherapy includes cognitive behavioral psychotherapy, peer support, and interpersonal psychotherapy. Cognitive behavioral therapy (CBT) helps the individual to understand how their thoughts affect feelings and how feelings affect their behavior. Interpersonal therapy (IT) is about focusing on the problems with personal relationships with others or surroundings. 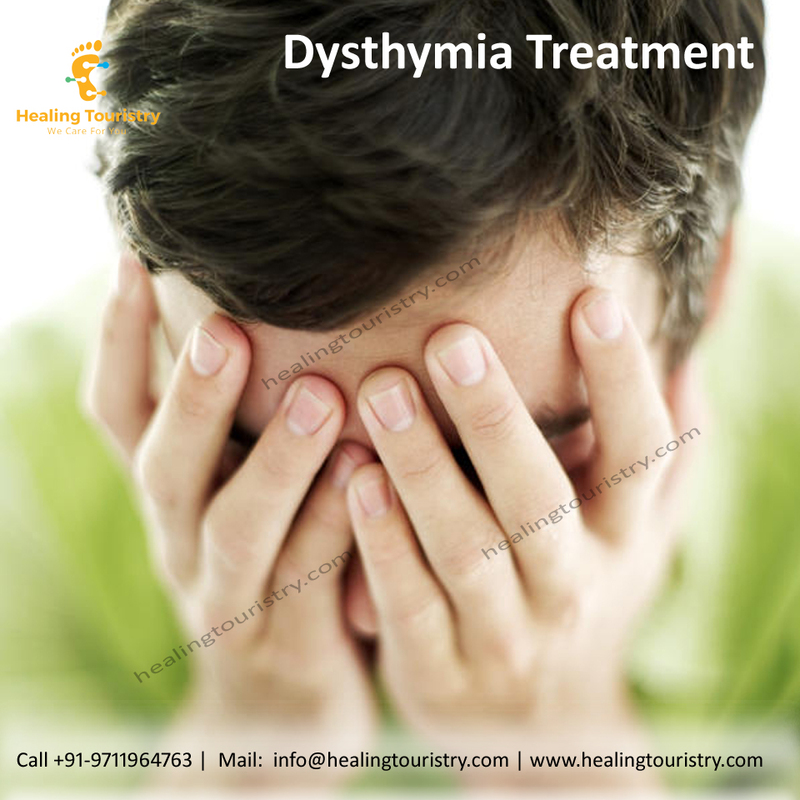 Group therapy may also manage and helps to treat dysthymia. Lifestyle changes are a must like exercising at least three times per week, avoiding alcohol and drugs, eating healthy and nutritious food like fruits and fresh vegetables, practicing yoga or meditation, building on new coping skills, expanding the skill set and develop new, healthier social relationships. Erythema nodosum is a modular, erythematous skin eruption that is characterized by sudden onset of red, painful, firm nodules and is commonly found on the extensor aspects of the lower legs. It is usually acute in nature; however, chronic or recurrent erythema nodosum may occur rarely. 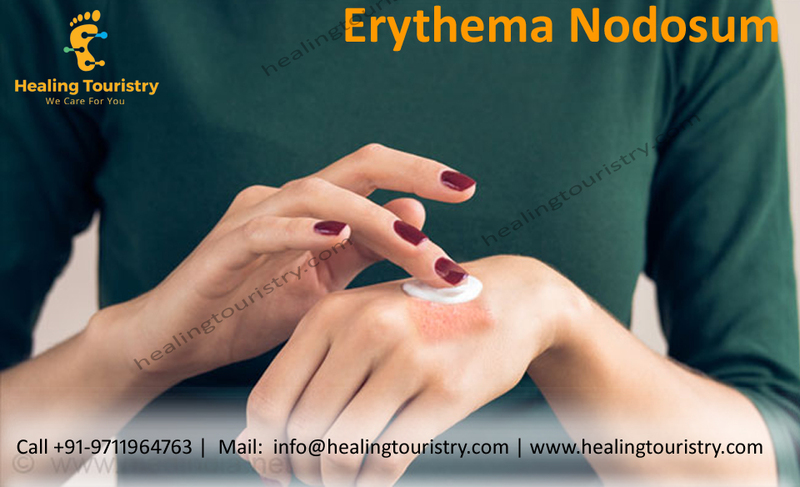 Erythema nodosum is an acute or recurrent hypersensitivity reaction and is mainly found in the female population, resulting from exposure to various antigens; however, the pathogenesis is not fully understood. These painful nodules can stay inflamed for as long as the period of three to six weeks and then shrink and resolve on its own, leaving a bruised appearance. After it is gone, it may leave only a temporary bruised appearance or a chronic indentation in the skin. Typically the skin eruptions are marked by fever, joint, and sometimes abdominal pain. Very often it is accompanied with nasopharyngeal infection and malaise. Inflamed and tender red nodules appear on the extended faces of the legs and knees, and sometimes thighs and forearms. These nodules are small, sometimes three to six nodules in number, many times occur bilaterally, and roughly symmetrical in nature. They resolve spontaneously in almost ten days, leaving a bruised blue appearance and completely disappear without sequelae. It never involves necrosis, ulceration, or scarring. However, in another pattern known as chronic erythema nodosum, the nodules may last for many years and not resolve soon. The diagnosis of is primarily clinical. However, a thorough case history looking out for tuberculous infection, fever, abdominal pain, respiratory problems should be taken with complete clinical examination and associated signs. The laboratory investigations like blood count, C-reactive protein, Mantoux text to rule out tuberculosis infection, X-ray chest, culture test, stool examination, and cutaneous biopsy may be carried out. The physician will treat the underlying condition responsible. Simultaneously, direct treatment needs to be given for the inflamed skin arising due to the erythema nodosum. Erythema Nodosum Treatment in India the treatments include anti-inflammatory drugs, corticosteroids, colchicine, analgesics to reduce inflammation and pain, are prescribed till the symptoms and signs improve. Personalized treatments may need to be given depending on the underlying condition and any associated diseases. Antibiotic therapy may be given in case of streptococcal infection. An individual can get cholera by drinking water or eating any food contaminated with the cholera bacterium. The source of the contamination might usually the feces of an infected individual that further contaminates water and/or food, which further leads to an epidemic. The disease can then spread quickly in regions with inadequate treatment of drinking water and sewage. Common sources includes: foods and drinks sold by street vendors, vegetables grown with water containing human wastes, municipal water supplies, ice made from municipal water, and undercooked fish and seafood which have been caught from waters polluted with sewage. The illness is not likely to spread directly from one person to another; therefore, casual contact with any infected person is not a risk factor for becoming ill. People living in places with poor sanitation facilities, bad drinking water, crowding, war, famine, and inadequate hygiene are at a greater hazard for cholera. Common locations which see lot of cholera cases include few parts of Africa, South Asia, and Latin America. If you are heading out and traveling to any of those areas, knowing the following cholera risk factors and symptoms can help protect you and your family. It can take anywhere from a couple of hours to five days for symptoms to appear after infection. Symptoms typically appear in two to three days. Cholera illness is often mild or without symptoms, but can sometimes be severe. The disease is characterized by profuse and watery diarrhea, nausea, vomiting, and leg cramps. In these individuals, rapid loss of body fluids leads to further dehydration and shock. Without treatment, it can turn fatal and death can occur within hours. Signs and symptoms of dehydration include increase in the heart rate, loss of skin elasticity (the ability to return to original position quickly if pinched), dry mucous membranes including the inside of the mouth, throat, nose, and eyelids; low blood pressure, increase in thirst, and muscle cramps. To test for cholera, physicians must take a stool sample or a rectal swab and send it to a laboratory to look for the cholera bacteria. Cholera Treatment in India, cholera can be simply and effectively treated by quick substitution of the fluid and salts lost due to profuse diarrhea. Individuals can be treated with oral rehydration solution (ORS), a pre-packaged blend of sugar and salts to be mixed in one liter of water and should be drunk in substantial large quantities. This solution is used globally to treat diarrhea. Severe cases also require intravenous fluid substitution. With prompt appropriate rehydration, fewer than one percent of cholera patients die. Antibiotics shorten the course and reduce the severity of the illness, but they are not as critical as receiving rehydration. Patients who develop severe diarrhea and vomiting, particularly in countries where cholera occurs a lot, should seek urgent medical attention. A bone marrow transplant is a procedure done to replace the damaged or destroyed bone marrow due to disease, infection, or chemotherapy. 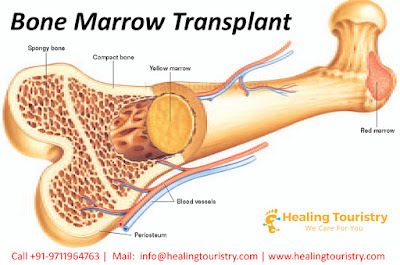 This procedure involves transplanting blood stem cells, so that they can travel to the bone marrow and produce new blood cells as well as assist in the growth of the new bone marrow. Bone marrow contains immature blood-forming stem cells known as hematopoietic stem cells (HSCs). These cells are unspecialized and have the ability to multiply through cell division and either remain stem cells or differentiate and mature into other different kinds of blood cells. Thus, it helps the body to make enough white blood cells, platelets, or red blood cells to avoid infections, bleeding disorders, or anemia. Healthy stem cells can come from a healthy donor or from your own body. Stem cells can be harvested, or grown, prior to the start chemotherapy or radiation treatment. Cells of bone marrow can be frozen for prolonged periods without damage. In autologous HSC the cells must be harvested from the recipient many months in advance of the transplant procedure as opposed to allogeneic transplants wherein fresh HSC are preferred. Cancer can occur anywhere in the body and many times, the diagnosis is delayed and sometimes the cancer is detected in the last stag. 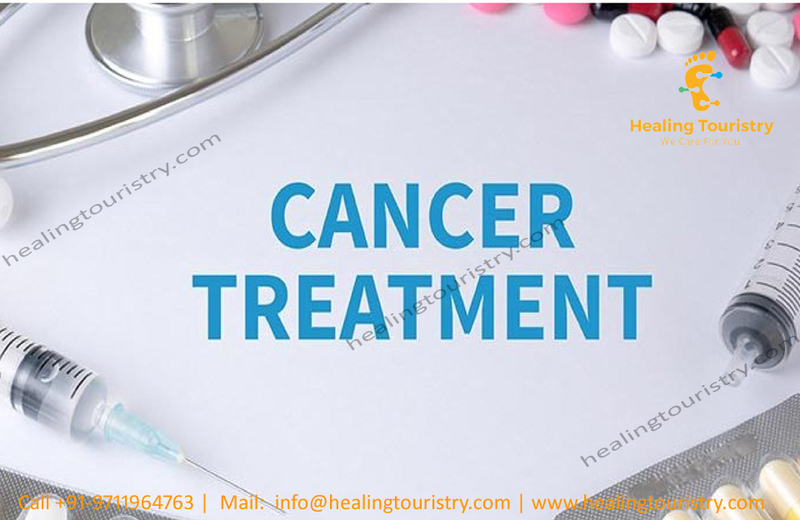 It requires multidisciplinary team of medical oncologist, radiation oncologist, surgical oncologist, nurses, social workers, dietitians to come together to provide a holistic care to a patient suffering from cancer. Any one or few symptoms may coexist in cancer patients from the list provided below, depending on the location of cancer and its spread- Fever, chills, recurrent infections or fever, loss of appetite, nausea, persistent fatigue, weakness, unexplained weight loss, night sweats, bone/joint pain and prone to easy fractures, shortness of breath, itchy skin or skin rash, swollen lymph nodes, easy bruising, bleeding gums, sweating of body during night, abdominal pain and back pain, headaches along with visual difficulties etc. Chemotherapy is the use of drugs to destroy tumor cells, usually by stopping the cells ability to grow and divide, usually given after surgery or with or after radiation therapy. Chemotherapy can be given via an intravenous (IV) tube placed into a vein using a needle or in a pill or capsule that is swallowed (orally). A chemotherapy schedule means the number of treatment cycles that need to be given over a defined period of time. In chemotherapy, either a single drug or combination of different drugs is given. The side effects of chemotherapy include fatigue, risk of infection, nausea, vomiting, hair loss, loss of appetite, diarrhea, and neutropenia. These side effects are transient and disappear once the treatment is finished. Radiation therapy Radiation therapy is the use of high energy x-rays to destroy tumor cells. The schedule of radiation therapy regimen consists of a specific number of treatments given over a given set period of time. Side effects from radiation therapy may include fatigue, mild skin reactions, upset stomach, and diarrhea. These side effects are transient and disappear once the treatment is finished. Palliative and symptomatic care includes supporting the patient with his or her physical, emotional, and social needs, improving quality of life, and supporting patients and their families. Palliative treatments include support related to medication, nutritional changes, relaxation techniques, emotional support, and other therapies. Bariatric surgery is a minimally invasive technique (laparoscopic surgery) that causes weight loss by limiting the amount of food the stomach can hold. 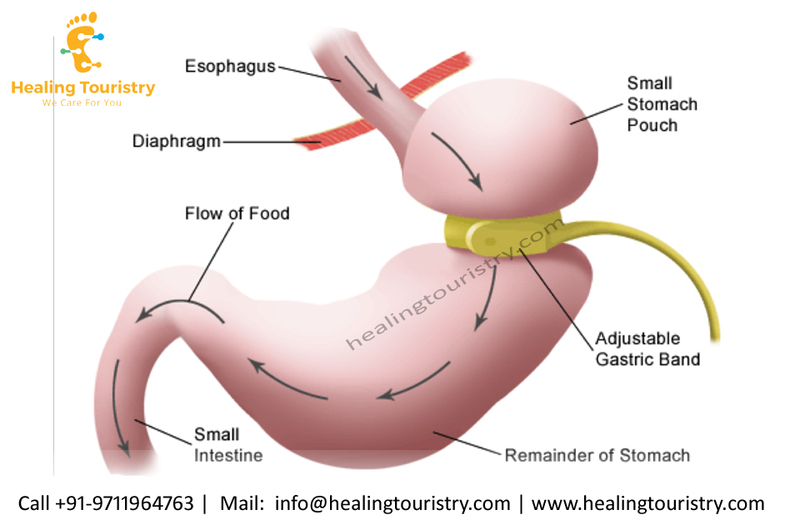 Bariatric Surgery in India, the most common bariatric surgery procedures are gastric bypass, sleeve gastrectomy, adjustable gastric band, and biliopancreatic diversion with duodenal switch. Immediately after bariatric surgery, the patient is restricted to a liquid diet, which includes foods such as fruit juices or sugar-free drinks and desserts until the patient recovers from the surgery. In this type of surgery, the surgeon places an inner inflatable band at the top of the stomach that creates a small pouch. By this method, eating even a small quantity of food will make the stomach full and reduces hunger by promoting the feeling of fullness, thus inducing weight loss. Reducing the size of the pouch is done gradually over time. In gastric sleeve surgery, also called vertical sleeve gastrectomy, a surgeon removes a part of the stomach such that it looks like a banana-shaped section that is closed with staples. Like gastric band surgery, this surgery reduces the amount of food (and thus calories) that can be consumed, making you feel full sooner. The greater impact also is on the gut hormones and gut bacteria that may affect appetite and metabolism. This type of surgery cannot be reversed because some of the stomachs is permanently removed. Recent evidence suggests that the gastric sleeve procedure and the gastric bypass procedure are effective in improving type 2 diabetes and weight loss. Gastric bypass surgery, also called Roux-en-Y gastric bypass, has two parts. First, the surgeon staples the stomach and creates a small pouch in the upper section. The staples make the stomach very small, so the patient eats less and feels full sooner. Next, the surgeon cuts the small intestine and connects the lower part of the small intestine directly to the small stomach pouch. Once this is done, food bypasses most of the stomach and also the upper part of the small intestine. Since there is less digestion of food by the smaller stomach pouch, and small intestine the body absorbs fewer calories. The surgeon then connects the bypassed portion beyond down to the lower part of the small intestine. The reroute of the food stream produces changes in gut hormones suppresses hunger and reverse obesity induces type 2 diabetes. Gastric bypass is difficult to reverse, although a surgeon may do it if medically necessary. This surgery, also called biliopancreatic diversion with duodenal switch, is a bit complex than the other surgeries. The duodenal switch involves two separate surgeries. The first is similar to gastric sleeve surgery. In the second surgery, the bypassed small intestine is redirected food to bypass most of your small intestine. 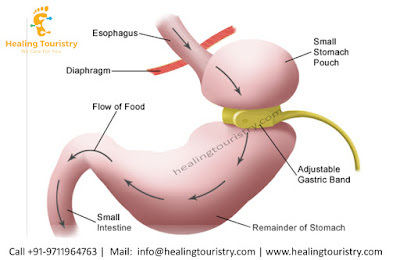 The surgeon also attaches the bypassed section to the last part of the small intestine reconnected to the last portion of the small intestine so that digestive juices mix with food. When the patient eats, the food goes through a newly created tubular stomach pouch empties directly into the last part of the small intestine.